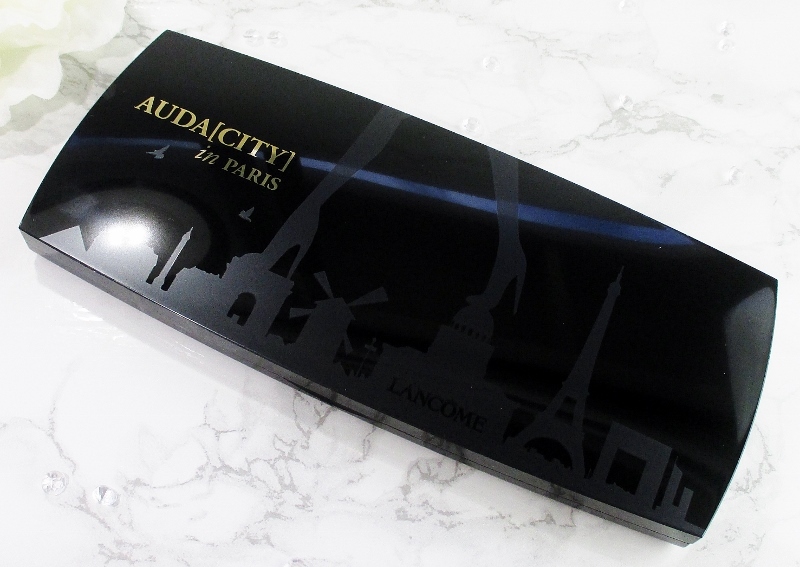 Auda [City] in Paris is beautiful to look at and leave on a vanity top. The sleek, signature shape black lacquer look plastic outer shell is decorated with a line of Paris' iconic landmark buildings and a pair of impossibly dainty legs and feet in sky high heels tiptoeing across the landscape in matte relief. This photo makes me want to scream. Sometimes, my old camera really struggles. Inside, there is a full length mirror with the same pattern in black across the bottom and sixteen neutral eye shadows/liners laid out in a logical, eye pleasing progression running light to deep. I can work in each trio or quad or I can mix and match from across the palette, to my heart's content. A small, double ended eye brush rounds out the presentation. A quick word about the brush; it's useless. Not only do I despise double ended brushes with a velvet passion, this brush isn't even worthy of my usual give one end a haircut and use the other treatment. Maybe I can use the flat end for nail polish cleanup. I'll give it a go but I'm not holding out hope. Honestly, I'd rather not receive a brush in a palette if it has to be a piece of junk. It just cheapens the experience and can make me question the quality of the palette, overall. Happily, the eye shadows are what I wanted them to be. Soft, wearable, ladylike neutrals in matte, satin and shimmer finishes in a selection of shades and tones that I can use to create a variety of looks from a pale wash of colour all over my lid to a full on, smoked out evening eye extravaganza, all without having to resort to grabbing other palettes or singles. Would you like to see swatches? The shadows are shown on lightly moisturized skin, no primer. Sorry if that appears to skew the results but I am not as young and fresh and tight of skin as I once was and I have to hydrate or it's all just a crepe-y mess and nobody wants to see that. Also, I seem to have swatched these, bottom shadow, then the three above, rather than trio then bottom shade. Yeah, I don't know what I was thinking but I'm not going to reshoot. 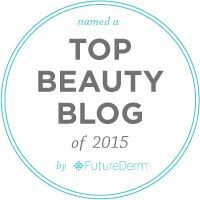 All four of these shades have good pigmentation and payoff on the eye. Chouquette doesn't show up very well in my swatch, it is very close to my skin tone. Kitten Heel is a favorite. This section is very nice. Sante` is a terrific transition shade and Joie is gorgeous on the lid. Voyage can be a little temperamental but can be coaxed to cooperate. Of these four, Clock Strikes 12 is the troublemaker. It can be recalcitrant but with a patient hand, it will deliver. Nuit is smooth and easy to use, the other three are a touch bratty and "It" List can produce fallout but a little patience is all that I need to make it work. All of these shadows perform, build, blend and wear best for me over a good primer. 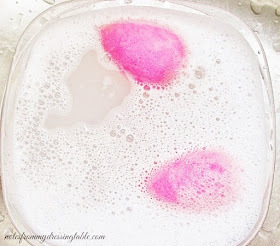 Some are smoother and easier than others but that is true with many palettes. The ratio of great to not so hot shadows in this palette is very good so I have no real gripes. I like this palette and I'm happy that I picked it up. There is now an Auda [City] in London palette and of course, I think that I need it. For continuity's sake, of course! 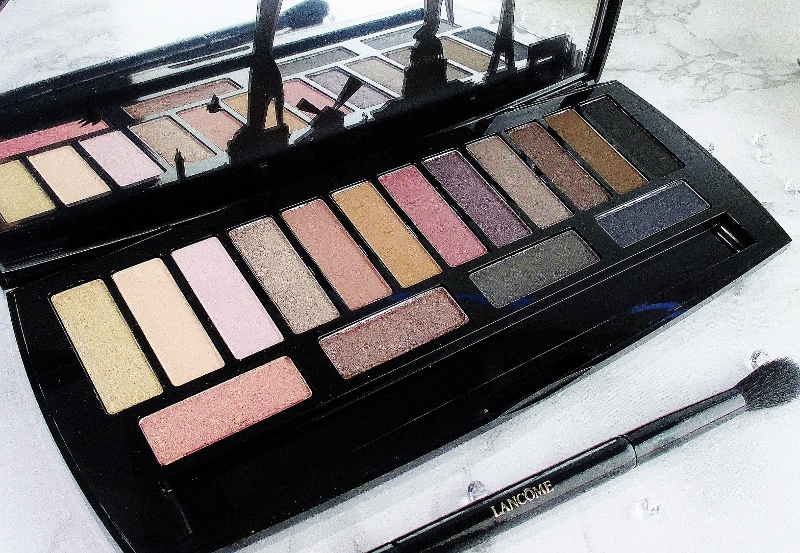 Do you own the Lancome Auda [City] in Paris Eye Shadow Palette? Are you happy with it? Please do tell. Nice swatches of this palette. There's some pretty shades in it. These shades are so perfect, definitely what I gravitate towards daily. And OF COURSE you need the other one! What a gorgeous palette, and it swatches so beautifully! I agree with you completely about useless brushes. Why even bother?!!! I didn't think I'd like this palette when I first saw it, but after seeing your swatches I may have changed my mind! Both Paris and London look like gorgeous palettes. The shades in this warm toned palette are beautiful. If I didn't have so many palettes that I haven't even opened, I would have scooped both of them up. Lancome seems to have terrible brushes across the board (their blush brushes are absolute... yeah you get the point.) I love these shades though! YES, you need the London palette as well - I didn't think I did, but after buying it and seeing the coordinated quads, I know better. Go buy! This palette is gorgeous! I love that the colors are so wearable. The only palette that came with a brush that I like is from Smashbox. Loving your idea of using this one for nail cleanup. Wow. This palette is gorgeous! 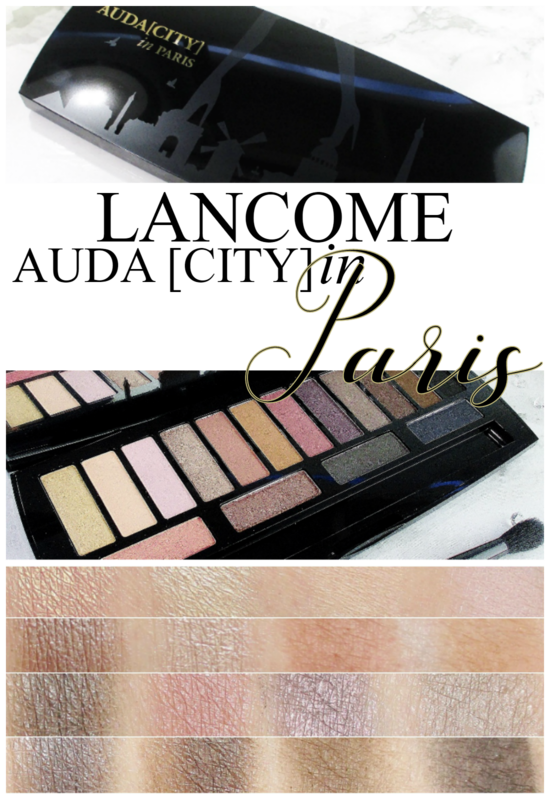 I still like my Paris palette but the London one I LOVE! I really want this palette! I love the rose gold shimmer, especially! I bought this palette the minute it came out but I barely get any use out of it. I like a more pigmented shadow than these seem to be. I loved Prime Beauty's review of the London palette but I can't cave. I wonder if you will!! Omg this palette is stunning! I'm all about those shimmers! I wish it just had a LITTLE more pigmentation. The satin shades are nice though.